There are vast numbers of football fans around the globe who are dead set on watching the EPL (English Premier League). This is the most-watched league in football anywhere in the world. For this reason, football lovers want to know how to watch EPL in New Zealand to catch all the latest games and highlights. Because of broadcasting rights, there are only a handful of channels that will show the premier league games. There is a way this can be circumvented, and this is by means of using a VPN, more of this will be explained, but for now, we need to see how to watch English premier league online. The 27th season of the EPL is well on the way, so there are plenty of British soccer results to catch up on. These can be caught up on via the BBC iPlayer and MOTD (Match of the day) on the weekend. With Manchester City being the defending champions, it is nail-biting stuff to see if any team can topple them and steal their crown. Here are a few regions where you can easily find broadcasters of the EPL where you can watch live EPL football. Numerous other countries have their respective broadcasters, but many require a cable connection to view them. To watch live EPL online, we are only interested in the ways that give the very latest live football stream. It might sound a little wonky, but you can watch the full 2018 EPL season from the USA. This does, however, mean you would need to use NBC’s streaming app. This does though require you to sign in with a TV provider, so this isn’t the best way. Another way that NZ football fans can connect to the USA to watch the EPL is by using any of the following services. So if you have a subscription already, it can be quite straightforward. Sling TV – provides live TV including ESPN. 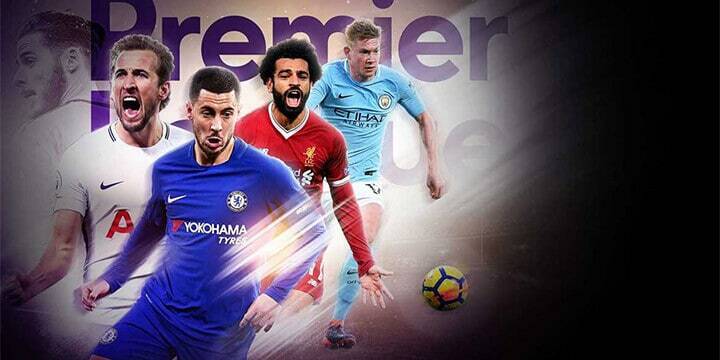 Live streams of the EPL are from 11 August 2018 all the way to 12 May 2019. DirecTV Now – this also gives access to many channels. They also offer the EPL online. Hulu Live TV – this VOD service has masses of content in their global library. Although they have vast amounts of shows and movies, it is undoubtedly guaranteed they will be streaming English Premier League 2018 -2019. All of the above can be a viable option, but as they are all based on cable connections, this might not be suitable for soccer lovers in New Zealand. What many viewers are looking for is the easiest and most cost-effective way to watch the EPL. This is where we find out how to watch live EPL without a cable subscription. Here are the means of watching EPL without cable. 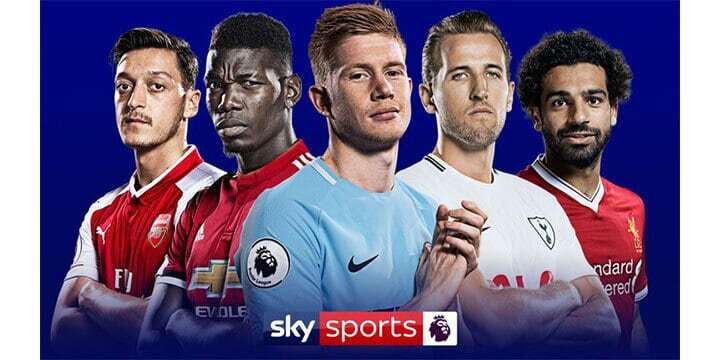 Sky Sports – They now have an online streaming package when you sign up with NOW TV, this allows you to stream from anywhere in the UK. This is where you can make full use of a VPN service and convince the service you are in the UK. Although this service is geo-blocked, these restrictions are easy to bypass with a good VPN in New Zealand. Football fans in NZ might not wish to pay for a subscription of any kind and want to resort to free options. There is one method, and this is using the highly regarded Kodi application. By installing the correct third-party add-ons, you can access some of the aforementioned cable services to stream EPL for free. The downside of this is it can be seen as copyright infringement, so your ISP can see what you are doing online and when. For this reason, a VPN is vital to encrypt your connection and stop any prying eyes from being able to see you are watching an EPL live stream by unscrupulous means. ISP is renowned for throttling connections that are streaming, and when Kodi add-ons are involved, they can be known to block connections as part of the Kodi clampdown. The best and safest method of being able to watch a Premier league live stream is by signing up for the best VPN NZ football fans can opt for. Because of our remote location, there is only one real solution, and it so happens to be the top rated VPN in the world. With this, you can access any-geo blocked content as easy as if you were watching it on your home TV. With a straightforward sign-up procedure, ExpressVPN can be installed and will have you protected, and out of sight of prying ISP eyes within thirty minutes. From here, you can select a UK server or a server in a country that shows live streams of the EPL and then log in to your desired streaming service. Using the preferred method of NOW TV, you can select a UK server and sign up (service geo-blocked to UK residents). Best of all, there is a Sky Sports Month Pass for twenty GBP per month rather than the usual rate. Make use of this, and you can carry on until the EPL ends, or cancel before you pay the full price. It doesn’t matter which option you use for soccer live score English Premier League 2018 – 2019 matches. An industry leading VPN can make all this possible. These live streams of the EPL will be brought to you at the fastest possible speeds and in a manner that is safe and secure.